The book was Robinson Crusoe. 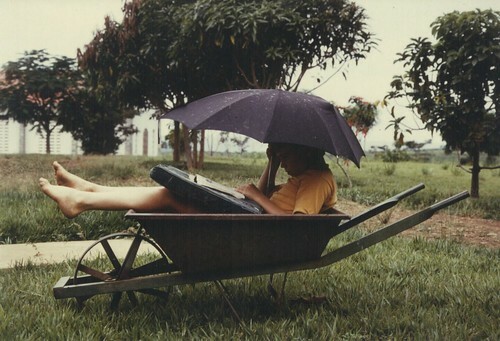 The prefered method of wheelbarrow sitting is opposit of the photo, with the wheel in th air. Dad made me sit this way for some reason. I am really enjoying these entries. You have had quite a life!